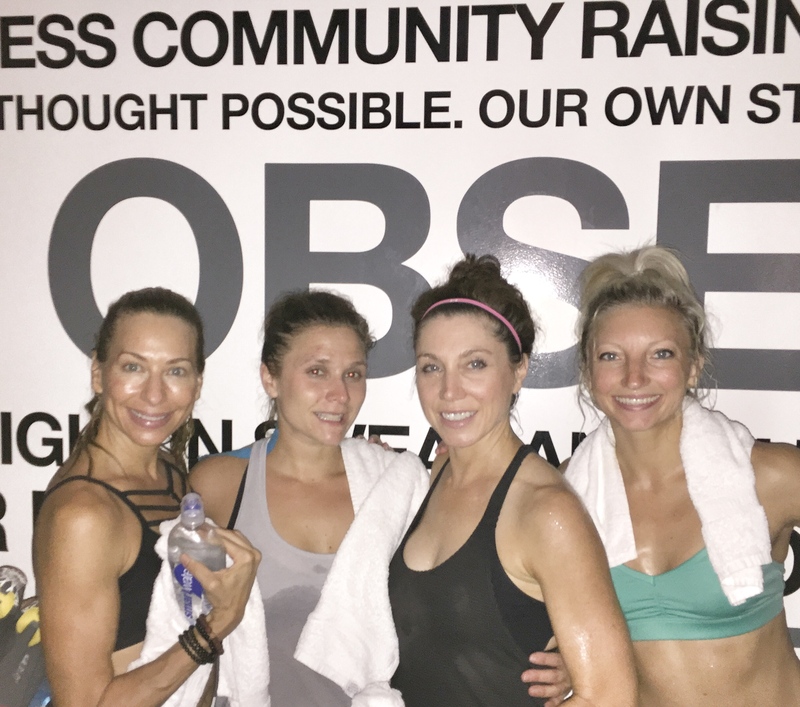 Following a 45 minute class at Cyc Fitness in Chelsea, me and the 3 other women I was traveling with raced to Soul Cycle to get to class on time (30 minutes in between classes in not enough time!). 1 protein bar, a few wrong turns & some serious speed walking later, we arrived at the Union Square Location in time for our 11:45 am class. 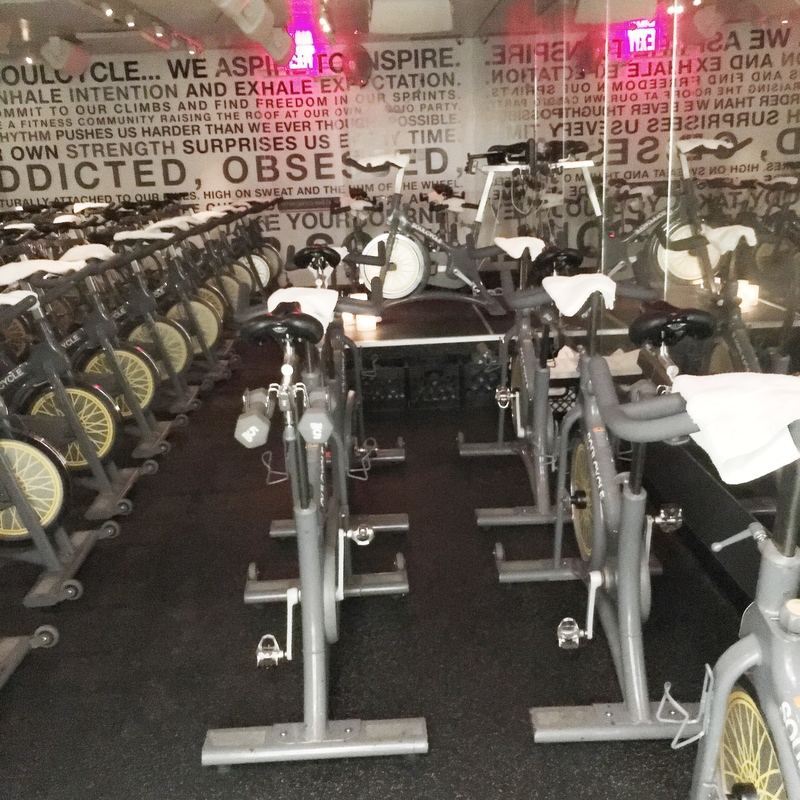 While I took my first-ever Soul Cycle class in San Francisco earlier this year, every instructor & location is going to be different. With that being said, Danny was the instructor, and he was a lot of fun! Even though my legs were a little burned out from the 45 minute Cyc Fitness Class, I was able to keep up, and the energy in the room was incredible. Compared to the previous cycle class we had just taken, the room was smaller, and the bikes were very.very.close. You had to weave in and out of the bikes to get out of the room! Insert: Minor claustrophobic panic attack. I had to talk myself down from a ledge, so I focused on the instructor and ended up being fine. Note to self: next time, choose bike near exit. The workout itself was great – legs were burning, although the arm workout with small weights wasn’t too challenging. Danny’s playlist was awesome, and he even ended up doing done high-kick dancer moves on the stage for the class… definitely kept us entertained the entire class! 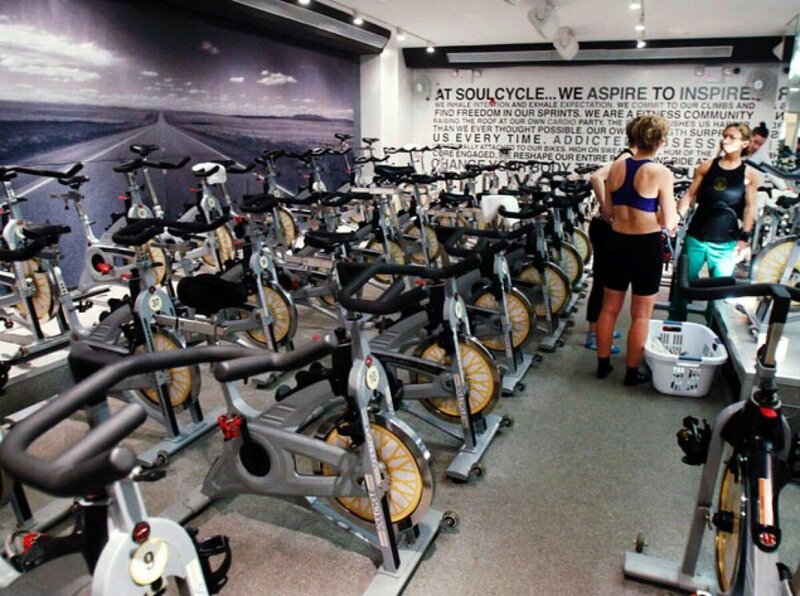 Summary: While I don’t normally like cycling, the energy of the class & instructors is what pulls me in. 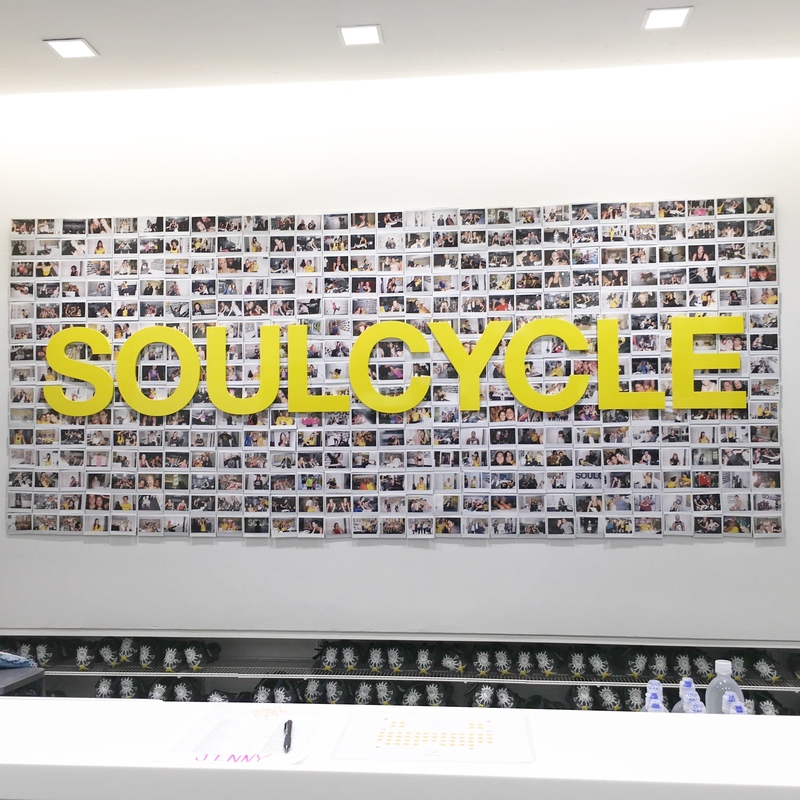 I personally like Cyc Fitness better for various reasons, but Soul Cycle is still a great workout. Pros: Towel set up on bike when you arrive. Showers at the Union Square location. Toiletries provided in the bathroom. Filtered water station. 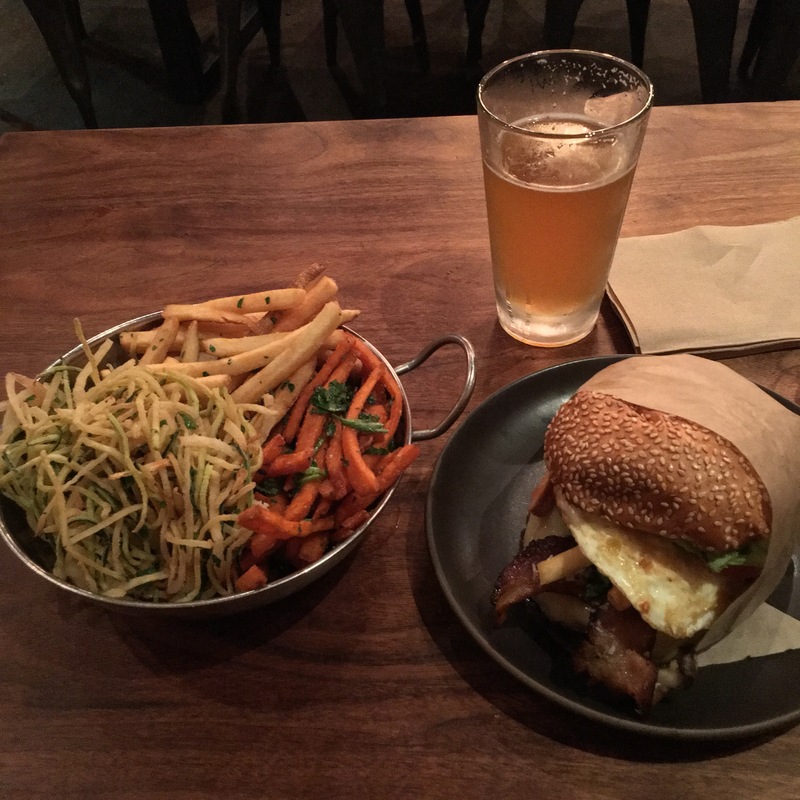 As promised, below is a recap of my trip to San Francisco. 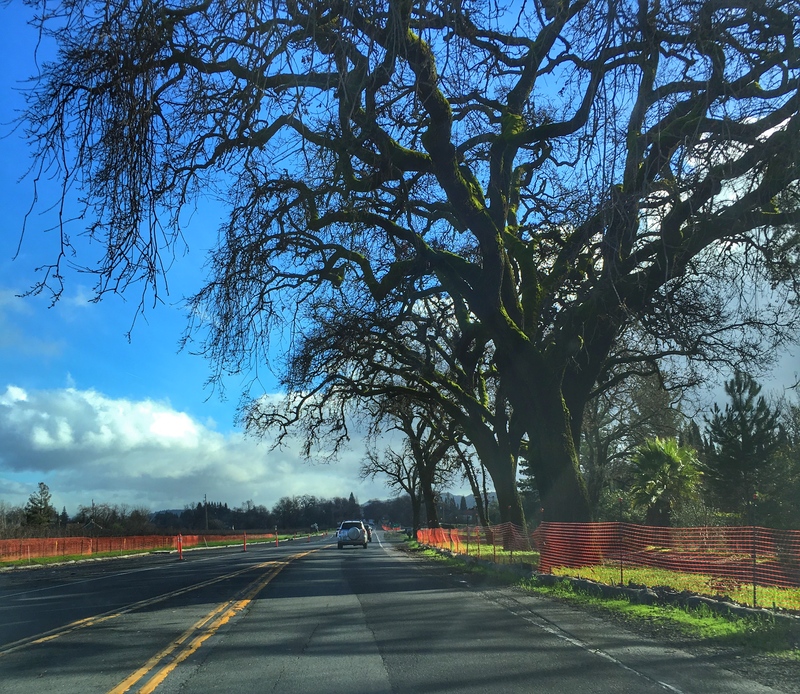 I didn’t really plan much for this trip except for my yoga conference, so I figured I would drive out to wine country for 1 day, check out a cycle studio, and get some runs in. As soon as I landed, I caught a shuttle to my friends apt. We spent the next few hours catching up on life before I decided to head out for a nice, 9-mile run. Except, 1) I didn’t realize how hilly SF was, and 2) I got lost, so my 9 miles turned into 10+ miles. No biggie, except my calves were sore for a solid week afterwards! There were people running past me the entire time – people are in serious shape out there! Anyways – I had to stop – a LOT – because look – the views are beautiful!! Which made me seriously question a lot of life decisions – for one, why am I living in Ohio? It was 45-65 degrees the entire time I was visiting (which is actually cold for this time of year), but it felt amazing! I was running around in a long sleeve shirt and was dying by the end of my run! And people were walking around with hats and long fur-lined coats… they obviously have never experienced Ohio weather. 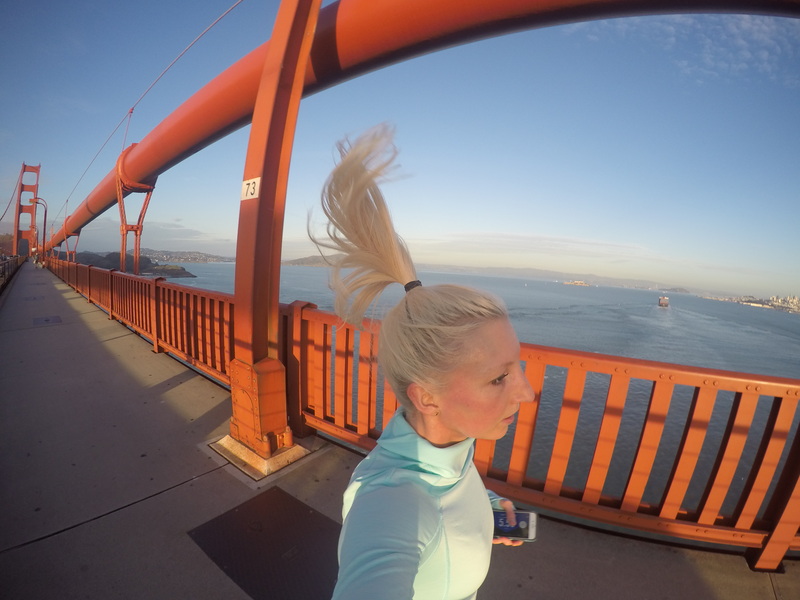 Run Across the San Francisco Bridge = Check off my bucket list! 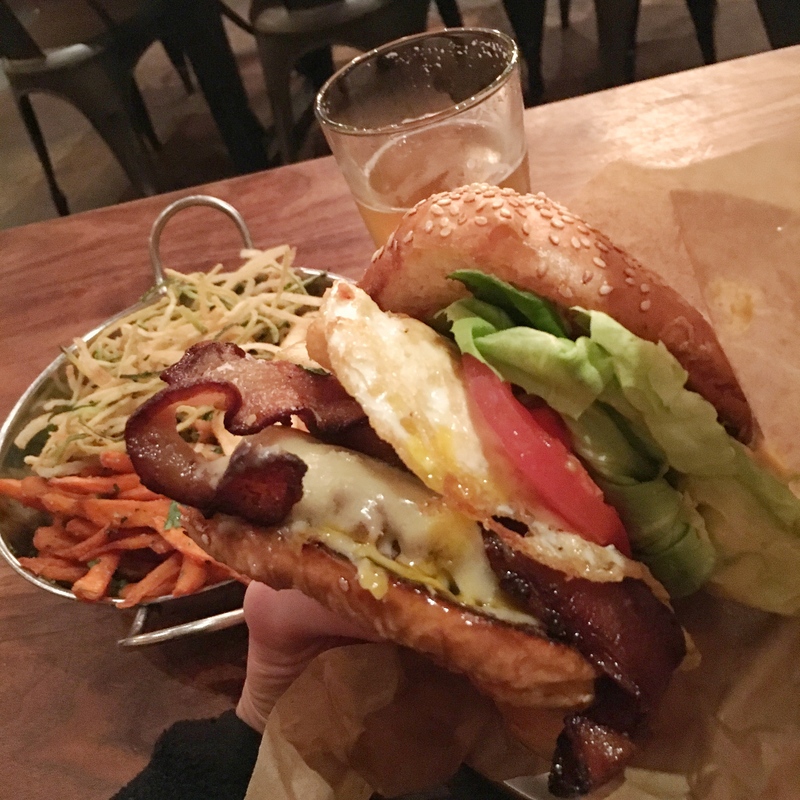 I basically ate myself into a food coma – so come Monday morning – I slept in… and of course, finished the reset of my burger for breakfast! 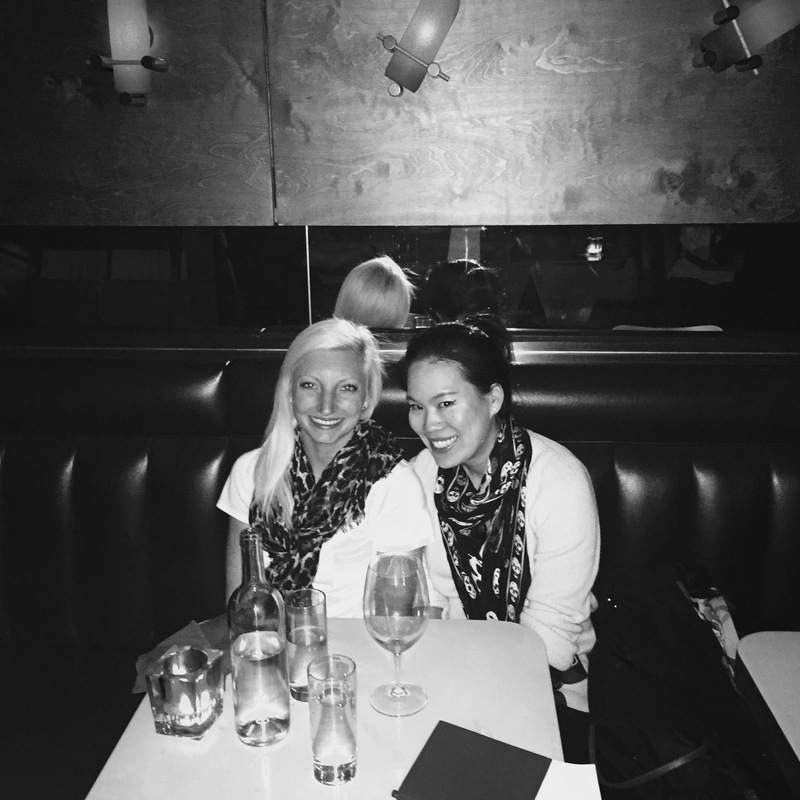 I planned out the rest of my trip while waiting for my food to digest (a burger before a run = sometimes I don’t make good decisions), deciding to run & explore + catch up with a friend from high school at dinner…. 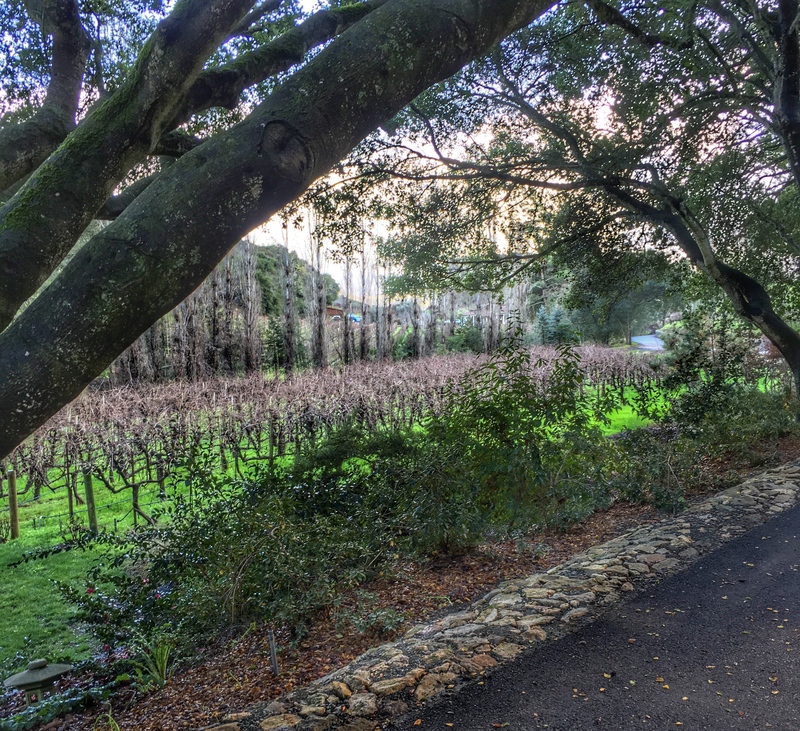 Tuesday, Wine Country…. and Wednesday, a cycling class! My Monday run consisted of heading over to Rincon Park, then back to fisherman’s wharf to hang out with some sea lions, then to Ghiardelli square for CHOCOLATE!! 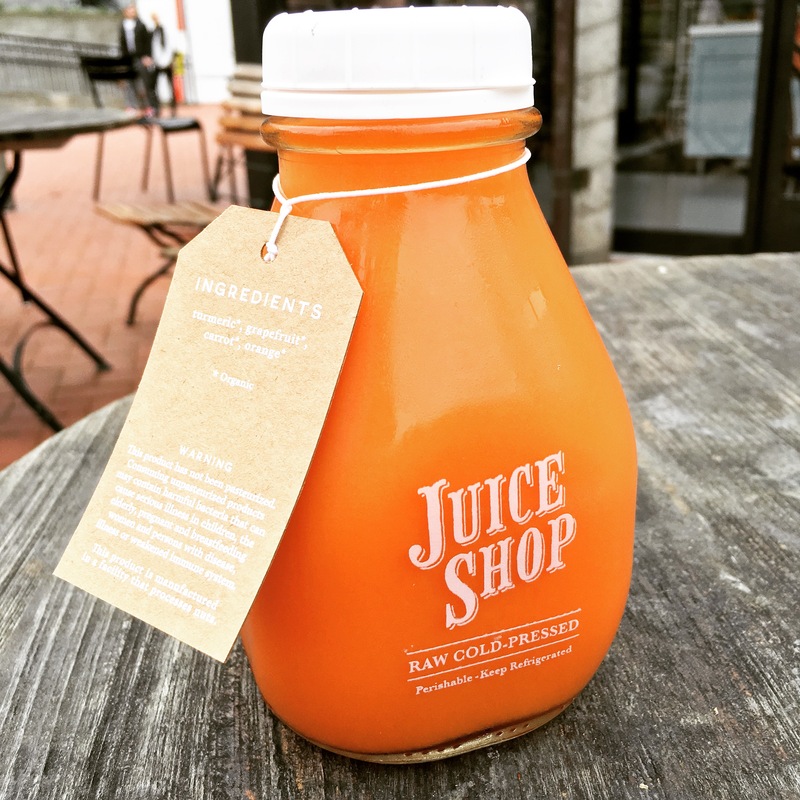 I actually found an amazing juice spot, THEN bought some chocolate – because I have to be a little healthy sometimes, right?? After my run, I stretched & did some yoga before heading out to dinner with a friend. Of course, I stayed out wayyyy too late, and that alarm at 7/8 am was not welcomed! However, I was way too excited to pick up my rental car and drive to Napa that my lack of sleep was quickly forgotten. 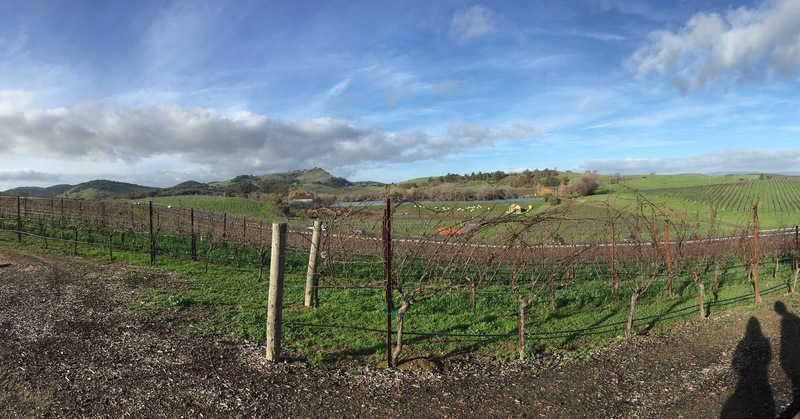 A 1 1/2 hour drive later, I ended up just north of Napa Valley at a Winery called The Terraces – highly recommended by a friend, and it didn’t disappoint! 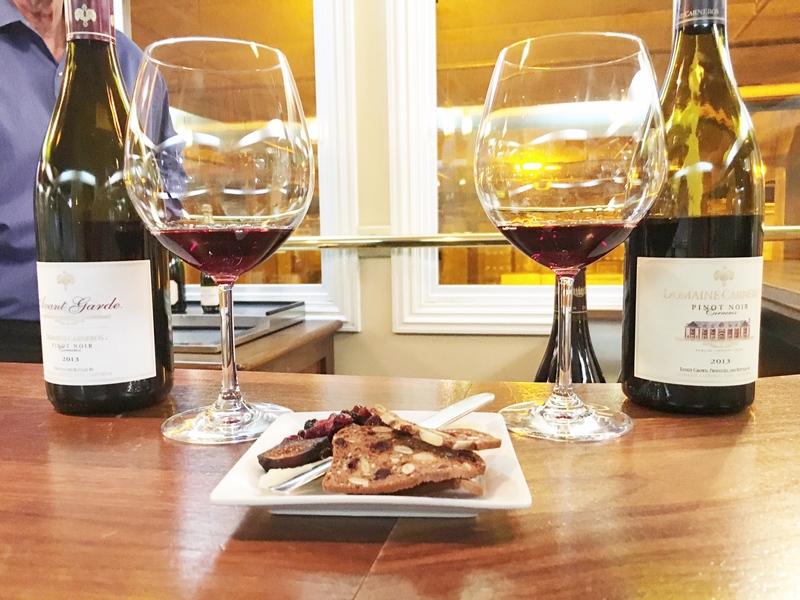 I was greeted like an old friend and did a tasting with the employees, as I was the only customer there (note-you need to make a reservation beforehand). We chatted for over an hour before heading out to take a look at the property… Just absolutely stunning! 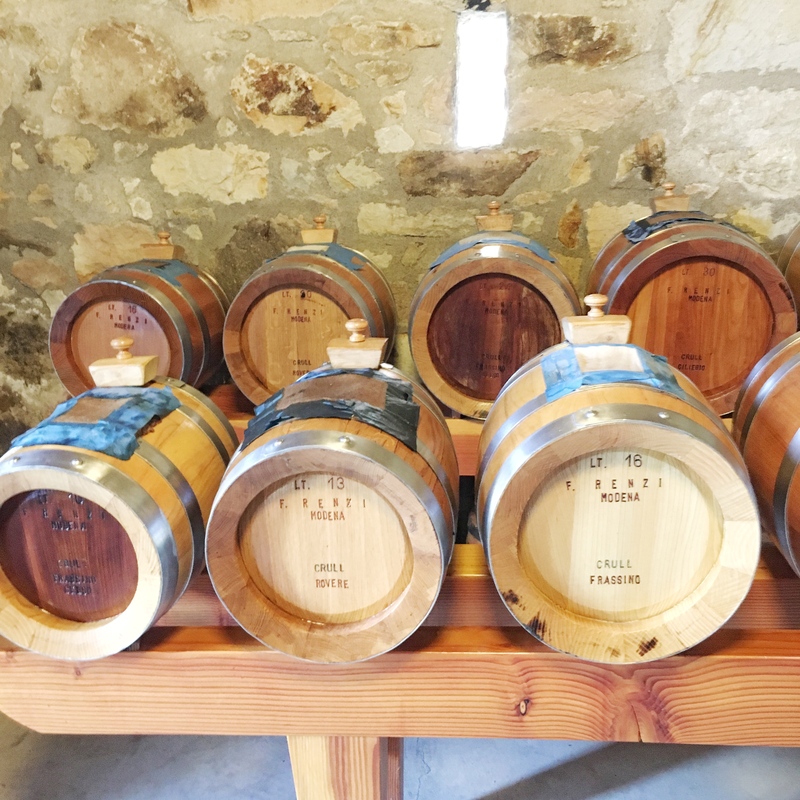 There were fruit trees, honey hives, rosemary plants…. just gorgeous. And the wine? Let’s just say this is the first and probably not the last time I will spend $60 on 1 bottle of wine! 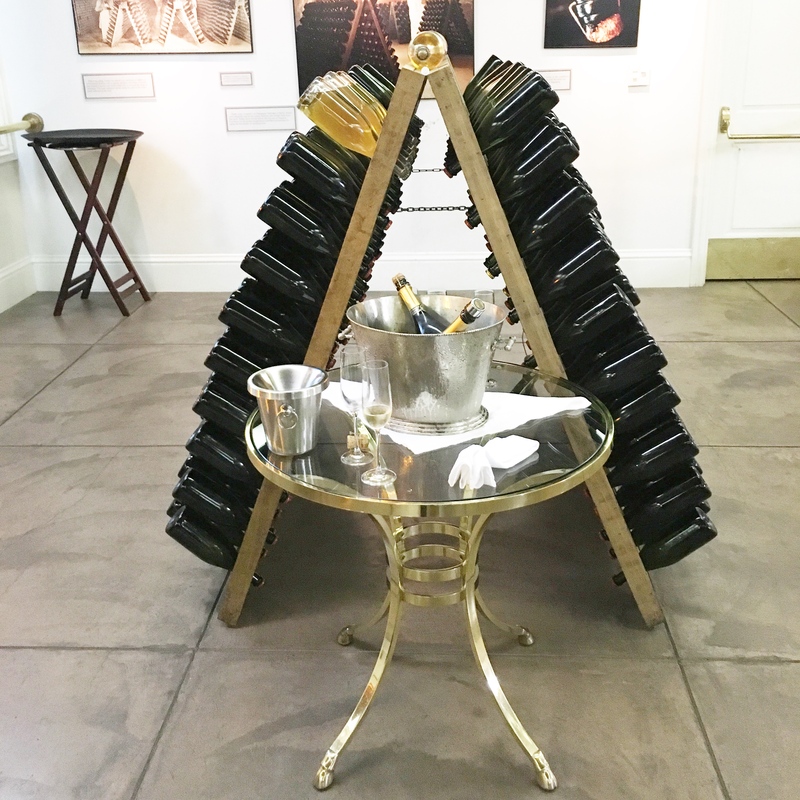 After the tour, I headed off to Domaine Carneros – a winery that makes champagne & pinot noir – 2 of my favorite wines! 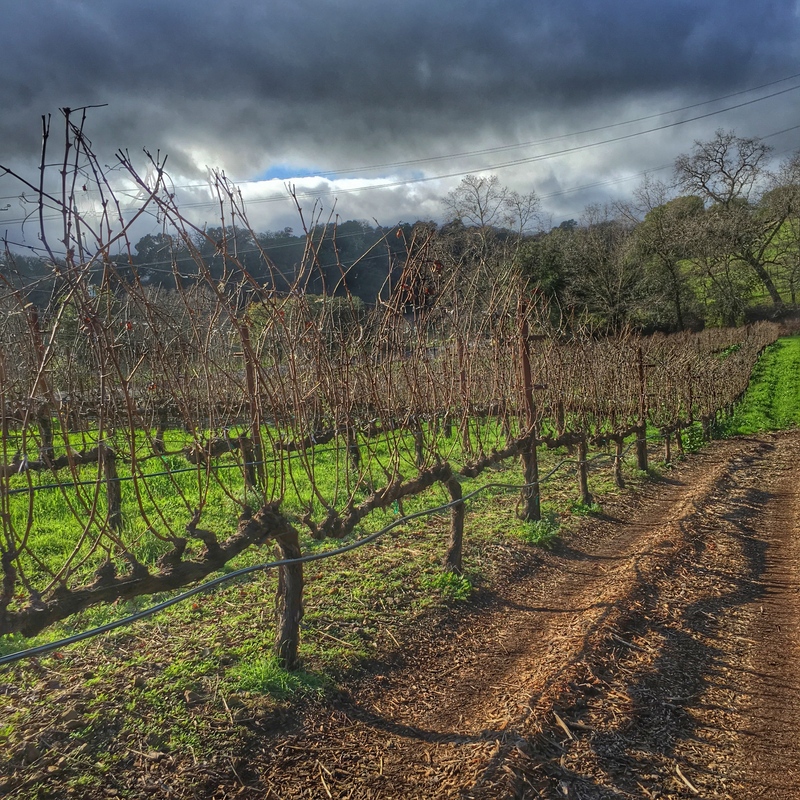 Miles and Miles of delicious grape-bearing vines! It just so happened that I was the only one in the last tour of the day – so I was able to get a one-on-one tour, with plenty of time to ask questions & hang out! 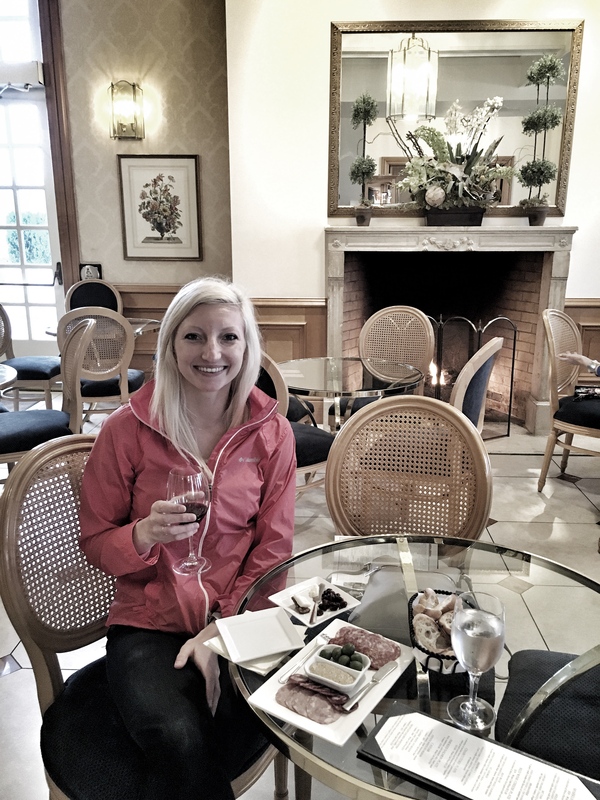 I learned the process of making champagne (it’s actually pretty ridiculous what goes into it! ), tasted the different kinds of champagne, and then ended with some Pinot Noir. Wine connoisseurs are seriously dedicated people! I now know that Brut champagne is the least-fruity champagne (it’s normally made with chardonnay)- so if you want something “sweeter”, go for the dry or extra dry champagne. There is an extra tablespoon or 2 of sugar in there 😉 And Rose is nothing but champagne with a touch of red wine in it! I grabbed a charcuterie board after the tour and relaxed for about an hour, watching the sun set. Seriously, perfect end to a wine-filled day! I personally don’t like cycling, as it makes my thighs super muscly… but, I had already run around SF a few times and decided to get my interval run workout in for the day instead. The room was filled with bikes almost on top of each other, and I went in early to get clipped in to the bike (note – I really, really needed help from the staff, my shoes did not want to clip in!) and get settled in. There were weights under the seat, and the last 10 minutes of class we used them for an upper body workout. The class had awesome music, buuuuuttt… Not a fan. Just go and try for yourself – it just wasn’t my cup of tea, but some people go religiously they love it so much. For $30/class (YES – it’s ridiculously overpriced), I’d rather be doing yoga or get yelled at by a personal trainer. Besides being pretty motivational & having modern decor, I wasn’t super impressed. Also, I learned that I have absolutely NO rhythm. Like, worse than I originally thought. So there’s that. So who has been to San Francisco? Lives there? Did I miss anything I absolutely needed to do?